Vegan on the Prowl: What does a vegan eat? This is an ever growing list of things a vegan can eat off the shelves of a store or at a restaurant in India. Most of them just happen to be accidentally vegan. Of course it might not be all healthy but it's just a list we should all be aware of. I have this note on Facebook that keeps getting updated by people living all over India. But for those who cannot see it on Facebook, it's pasted below. I will keep updating it from time to time. I'm not going to include fruit juices, fruits or veggies. Feel free to add restaurants from your respective cities that might have some vegan options in the comments and I will add them to the main article. Please add stuff you know for sure that is vegan because I may not be aware of all things vegan! I'm not going to include fruit juices, fruits or veggies. 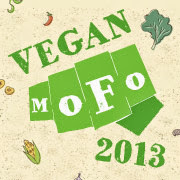 Feel free to add restaurants from your respective cities that might have some vegan options. McVities Hobnobs (almost all other McVities biscuits are also vegan ONLY THE IMPORTED ONES the Indian ones are not vegan). Coconut Milk Powders - Beware of the powders because most of them (like Nestle) have milk powder added. Coconut Milk in tetra packs by Dabur and Godrej are good. Britannia's "Healthy Start": "Multigrain Porridge", "Tomato Spinach Upma". Khandvi is not vegan, contains yogurt. Ray's Pizzeria, Bandra - Has a vegan menu with a different vegan options. The Green Stove in Mumbai for vegan cakes, cookies, breads, cheesecakes, chocolates and appetizers. Only on order. Vegn Bites has healthy vegan tiffin service in Mumbai for everyone who wants their lunch delivered to their doorsteps or offices. Indian cuisine is easily vegan if you know what to avoid - paneer, ghee, butter, cheese, curd.Barbeque Nation always has a vegan mousse in the desserts section and the dal is not always vegan. The complimentary green chutneys at most north indian places has curds and also Naan almost always has eggs. All Udipi restaurants have vegan options. So this means all Dosas (except the ghee spcials), Idlis, Vadas, Rice Dishes, Sambhar, Coconut Chutney...Madras Cafe in Matunga will also make your dosas oil free. All Italian Restaurants (Except Mia Cucina, Bandra) will avoid the cheese on your Red Sauce Pastas (or make stuff for you without cheese or butter) which include LittleItaly outlets, Spaghetti Kitchen outlets, Botticino at BKC, Quattro in Lower Parel, Woodside Inn in Colaba, Cafe Mangii in Powai. South East Asian Vegetarian dishes are vegan, but by popular demand (!) have started adding paneer. So ask them to avoid paneer and the MSG - The Bowl House at Ghatkopar, China One at Dadar, Joss at Fort, 5 Spice outlets, Shiro's at Lower Parel, Flavors of spices (earlier known as Peter Wang) on Ghodbunder Road, Thane has many vegan options and they also customize your dishes if you specify that you want them dairy free. Mediterranean and Fusion Cuisine - Blue Frog, Lower Parel (even made a non vegetarian dish vegan for me), Cafe Basilico at Bandra, Falafel's outlets, Bistro Grill outlets. It's important to know that in almost all falafel dishes, the tahini has been invaded by mayonnaise, so ask them not to add that. Kajun spice potatoes on most restaurant menus are vegan, but please check always. At Moshe's you get an amazing Balinese curry that is vegan but you must let the table attendant know that tofu is ok because they avoid tofu if you ask for vegan curries. Moshe also has a unique roasted fruit smoothie that is vegan. Carnival Bakery has a separate vegan menu filled with delicious cakes, pies, puddings, mousses, breads, donuts and cookies. They're a delivery only bakery. Bangalore now has a vegan restaurant called Carrots. Soo Ra Sang on Wind Tunnel Road (off old Airport Road) - Korean - nearly all the vegetarian dishes (including all the little kim chees, veggies, beans, pancakes etc... that they serve on the side) happen to be vegan by default. Fava at UB City - Mediterranean - a lot of the vegetarian dishes can be veganized. Just make sure you specify many times that you do not have dairy products and cross check the dips (they have a habit of sneaking a yogurt based dip into some foods so ensure that isn't there). Monsoon at The Park Hotel - all cuisines - call them in advance and they will prepare a special vegan meal just for you, including a deliciously decadent vegan pastry. Shiro at UB City - Japanese, Balinese, Chinese (the authentic kind) - limited vegetarian and vegan choices but whatever is available is very tasty. Tasty Tangles-vegetarian dishes on their menu are vegan except for the dessert section. E-inn near electronic city in Bangalore serves complete vegan from starters to desserts.Call them in advance. When you ralk abour street food you should also add that there has been a growing trend of adding paneer where ever you can. So samosas or chhole bhature might have paneer too. In fact when i dont get anything else i sometimes order maggi and once i found they had added butter on top of that too. You can never be too careful!! Thank god i have never seen curd on top of my gol gappas and bhel puri yet. Very helpful post. My daughter has food allergies and so her diet is mostly vegan. We have identified some of the stuff that u have mentioned bygoing thru the ingredients list of each item while shopping :) bournville, bourbon .. Must take ur list along next time! Saw Soyvita mentioned in the FB post. Do u know if it is available in Mumbai? Soyvita is available at many grocery stores. I have seen it in Haiko, Powai. Absolutely. I have not mentioned any noodle brands, but may be I should. Yes, they are dairy free. A lot of people with dairy allergies are consuming them. Are above mentioned products free from animal derivatives and pork/animal fat ?